Time sure is going by pretty fast. I can't believe Christmas is in less than three weeks. Have you finished all your shopping yet? I still have a couple more items to get and then we'll be all done. Every year the hubby and I make sure that within all the gifts my kids receive, a book or two is something that gets unwrapped. We're big on reading in our family. We have the kids read to us every night and both my kids are avid readers who absolutely love reading on their own time. 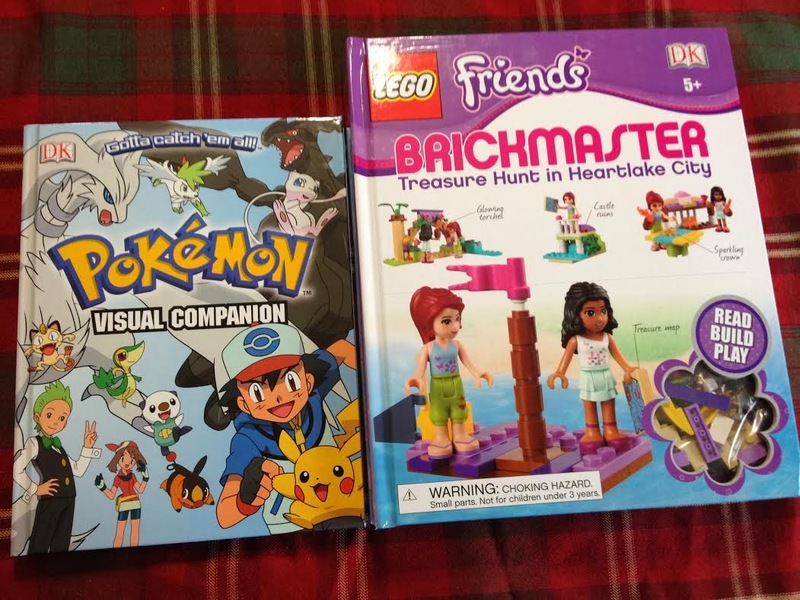 We recently received two books from DK Canada that would be perfect gifts to give to your little boy and/or girl. We got both Pokemon Visual Companion and Lego Brickmaster Friends. I can't tell you how much my kids have been in a Pokemon phase. They watch the show, collect the cards, have a few figurines and have a couple plush Pokemon. They love battling one another and trading cards, so the Pokemon Visual Companion was a great book to receive. It's filled with over 200 pages of Pokemon info that includes new characters, loads of facts about Pokemon and shares with you the new events from Pokemon. A great gift to buy this holiday for anyone with kids that are fans of this show. The Lego Brickmaster Friends is a neat and unique book. It comes with Legos and two of the characters from the Lego Friends. This book takes you on an adventure with the two girls searching for buried hidden treasure in Heartlake City. Not only can your little girl tag along the adventure with both girls, they can also make up an adventure and create a new story that will keep them busy for hours. What I love most about getting books that are about characters my kids love on television is that it gets them even more eager and determined to read even more. Right now DK Canada's Gift Boutique is offering over 40 books 30% off. Books not only will your kids love, but books that you will love as well. Make this holiday special and pick up a book or two for your family! Disclosure: All opinions are my own. I received the books mentioned above at no cost for the purpose of this review. No other compensation was received.